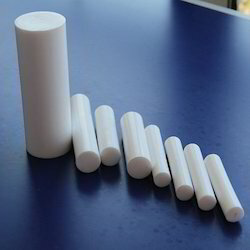 We offer PTFE rod made by ram extruding method. Diameter: 5 ~ 50mm and diameter over 50mm are manufactured through molding process. This is the most chemical-resistant of all known plastics and has a wax-like surface to which anything hardly sticks. Having lowest coefficient of friction of all known solid materials this has the best electrical properties of plastic. We offer PTFE White Skived Sheets and moulded which is manufactured by a moulding process with PTFE granular PTFE resin, which has a glossy surface. 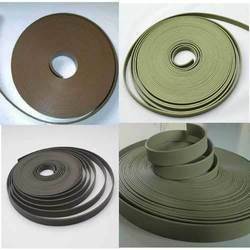 These have excellent characteristics of chemical corrosion resistance, weathering resistance, dielectric superiority, strong tensile strength, low friction and ageing resistance. Our range is very suitable for linings, seals and electric insulate parts at any frequency, bearing pads for a bridge. We have been able to provide the customers an astounding assortment of PTFE Bellows. Expanded PTFE Gasket is cut from expanded PTFE sheet. We could produce according customer request. It is made of 100% expanded PTFE by using special expansion process that offers uniform and multidirectional tensile strength ensure maximum performance and minimum creep & cold flow. This gasket sheet is ideal for rough and damaged flange faces and having excellent, universal resistance against wide range of chemical, acid, alkali, solvent and oil. 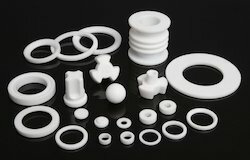 We are a prominent firm engaged in manufacturing, supplying and exporting high grade PTFE Machined Components. These are designed by our experts using premium quality raw material and modern methodologies. Clients can avail these products from us in different sizes and specifications as per their requirements. We accept bulk orders for the product and ensure their delivery within the stipulated time-frame. 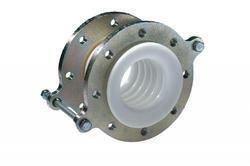 Offered by us is a comprehensive range of Turcite Guide Ring. Procured from reliable and trusted vendors of the industry, these strips are demanded widely in a number of industries and are appreciated for their durable standards and high performance. Moreover, our professionals make sure to check the quality of the entire range in order to ensure their compliance with international quality standards, before dispatching these products to the customers. We are also capable of fulfilling urgent and bulk requirements of our clients timely, in order to stand efficiently by their expectations. We, “V.H.Polymers”, are one of the renowned manufacturers and exporters of quality range of PTFE products for a wide range of industrial applications. Polytetrafluoroethylene (PTFE) Product is a synthetic fluoropolymer of tetrafluoroethylene that has numerous applications. The major application of PTFE Product is for wiring in aerospace and computer applications. 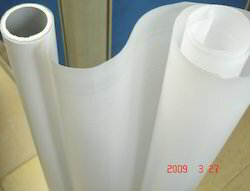 This application exploits the fact that PTFE Product has excellent dielectric properties. 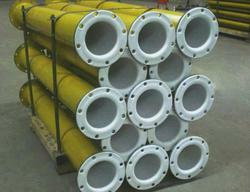 Another major application is in fuel and hydraulic lines, due to PTFE's low resistance against flowing liquids. In industrial applications, owing to its low friction, PTFE is used for applications where sliding action of parts is needed: plain bearings, gears, slide plates, etc. We offer PTFE lining, which are available in natural or statically dissipate to prevent the build up of static charges and reduce the static electricity on the surface of rollers. We refer to these liners as conductive, which can be availed from us at industry leading prices. 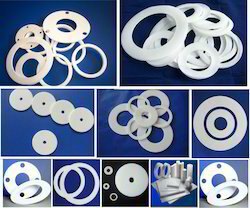 We are one of the leading manufacturers and suppliers of wide range of high quality PTFE Envelope Gaskets in the market. Our professionals are well versed with the manufacturing process and make use of high grade raw materials to manufacture these gaskets. These gaskets are available in two types: Slitted type and Milled type. These Envelope gaskets are available with CAF/ Asbestos/ Non-Asbestos/ Steel filler. 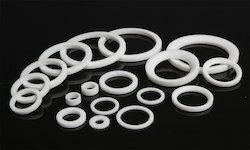 Looking for PTFE Product ?